Careers Cost > How Much Does a Mall Kiosk Cost? How Much Does a Mall Kiosk Cost? If you want to start up your own business in the mall, a kiosk may be ideal because of its size and the cost of starting one. A mall kiosk will generally sit in the middle of the pathways that many customers walk while going from store to store. To rent a kiosk from a mall, the cost is going vary depending on a few factors such as the location of the mall and the location of the kiosk in the mall. On average, renting a mall kiosk will be anywhere from $500 to $6,000+ a month. The cost will greatly depend on the location within the mall, the size of the kiosk and the mall. A mall that generates a lot of foot traffic can demand a lot more money, while a declining mall may charge a much lower fee. Months such as November and December will demand a greater premium due to the heavy increase in volume. Also, a kiosk located in front of an entrance or near the food court will cost much more than in a dead end hallway. Some malls may ask for a certain percentage of the sales rather than a fixed monthly rate. For example, a mall may say that it either wants $3,000 a month or 15% of your monthly sales, whichever is greater. According to Entrepreneur.com, the Mall of America will allow you to rent a cart for $2,300 per month or 15% of your monthly sales. They also have a $1,500 “key money” fee. One member on a thread talking about mall kiosks claimed he paid about $1,250 per month at his local mall, but if he wanted to, the prices were as low as $700. The Los Angeles Times wrote a story about someone who opened a jewelry kiosk on Santa Monica’s Third Street Promenade for $3,500 per month. Most malls will include the mall kiosk and you will need to do nothing on your end but stock the shelves. This will include the security cover as well as a lock to ensure that your inventory is protected when you are not around. Before a kiosk is secured, a potential kiosk owner will have to meet with the leasing office. This is where they can help draw up plans, set up a kiosk as well as create a contract for you to sign. Keep in mind that some malls can deny a business plan if they think it doesn’t fit with their mall guidelines. Leasing offices will usually want to hear your sales pitch, why it would be a great addition to their mall and what kind of experience you have. In return, they will be able to offer kiosk options, the amount of foot traffic you may receive and how they can help you reach your goals. Most kiosks will sell popular items such as sunglasses, cell phone accessories, jewelry, cell phone plans or even food. According to a Specialty Retail Pulse report in the past, the top sales categories included apparel, cell phone accessorhealthcarelth care products. Depending on the mall’s policy, tenants can sign a contract that ranges anywhere from as little as a month to more than a year. If approved, the leasing office will offer a contract with your start date and the monthly rent details. Upon handing it in, most malls will ask you provide documentation of a valid business license, permit and business tax ID. You will also be asked to pay your first month’s rent and a security deposit that will be equal to, or more than, your monthly rent. An initial fee will have to be placed in order to reserve a kiosk, a fee that’s used to reserve your kiosk. The initial fees can vary from $800 to $2,500. Most malls are going to provide the kiosk set up equipped with the locks, shelving and secured drawers. As an owner, additional items may be needed on your end such as graphical signs. A cash register, computer or table to store inventory as well as ring up customers is a necessity. A cash register or a tablet equipped with a credit card processing accessory like Square can cost anywhere from $100 to $500 or more depending on how complex you want it to be. Many who have opened a mall kiosk often have their lawyer read through the contract. Seeing the average contract for a mall kiosk can be close to 100 pages, it could cost you anywhere from $800 to $1,200 to review the fine print. While rare, some malls may have a separate utility bill such as Internet access and/or a phone line. If the mall doesn’t deal with permits and/or insurance, then this will be your responsibility. Carefully research the mall you’re looking to sell at. Are there competitors? Will there be a demand for your products? 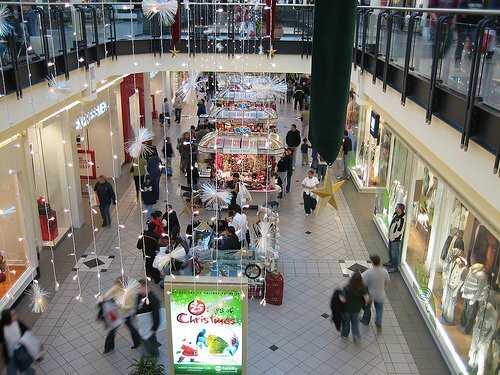 Before you get too excited about selling at this mall, talk with some other kiosk owners to see how the foot traffic is and if they know of any businesses you plan on running that may have been there in the past. Remember this will be no different than opening a brick and mortar store, so you will want to make sure prepare a detailed business plan to find your break even point to create a profit. If you really want some numbers, head to a mall on a busy Saturday afternoon and sit nearby for about an hour to count how many people walk up to the kiosk. Haggle the rent price with the mall since most rental prices aren’t set in stone. It never hurts to ask for a lower rental price. Usually, the longer your contract is, the more you can save during the year. For example, some businesses only want to work three months during the holiday season, while others work 12 months out of the year. While the leasing office may offer this option, the temporary business owner may pay 50%+ more per month than someone who is there all year. If you’re unsure your business is going to work, find a mall that allows you to rent for one month. This way, if the sales weren’t what you expected, you would be out your money for one month and wouldn’t have to worry about committing for the entire year. I paid $5400 per month in Valencia shopping mall and need to pay $10k per month in Topanga shopping mall. Is it too expensive or average rent? Thanks.